The actor, martial arts instructor and film director Bruce Lee once said: “If you love life, don’t waste time, for time is what life is made up of.” Russian writer Leo Tolstoy was one of the greatest novelists of all time, and he declared: “The two most powerful warriors are patience and time.” And Jim Rohn, an entrepreneur and motivational speaker who grew up as an only child on an Idaho farm, once noted: “Time is more value than money. You can get more money, but you cannot get more time.” And herein lies the challenge ~ how to make the most of the time you have doing what you love with people you enjoy, while spending your money in places that advance your career, create more time with friends and promote your leisure activities. Balancing time and money is a challenge that people face daily. Buy this at the store or make something from scratch? Park here for less or pay for a more convenient location? Clean the house on weekends or days off work or hire a maid service? Spend money here for more time there? Then, one can rate levels of enjoyment. If you love to bake or cook, then buy ingredients and create your own cake, brownies or meal. If you like to walk and enjoy the time outside, then park a ways away from your destination. If you love dunking a mop in a bucket, pushing a vacuum cleaner and reaching in far corners to dust on your day off, then do it. On the other hand, if you’re not especially crazy about these things, find a good bakery, a great to-go meal service, a close parking lot and an excellent maid service. House cleaning is both high and low on a list — very high for having a nice, clean home environment yet very low for being something that people want to do when they could be hiking at Radnor Lake State Park, strolling along the Honky Tonk Highway, catching up at work, hanging out with friends, enjoying the Frist Center for the Visual Arts or walking around Cheekwood Botanical Gardens. 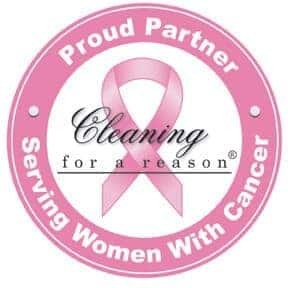 Additionally, maidcleaningnashville.com’s maid service central is all online. Use your smartphone, tablet, laptop or desktop computer from wherever you are, whenever you want, 24/7. The online advantage speaks to convenience, and the simple one minute scheduling is a benefit not found in many maid service entities. It’s simple, quick, easy on the front end and thorough, comprehensive, clean and green at the back end. You’ll love it – the cleaning. And you’ll also love the time that you have to spend as you wish doing what you want with whomever you want to share your time. Have a good time … and leave the cleaning and the maid service to us!